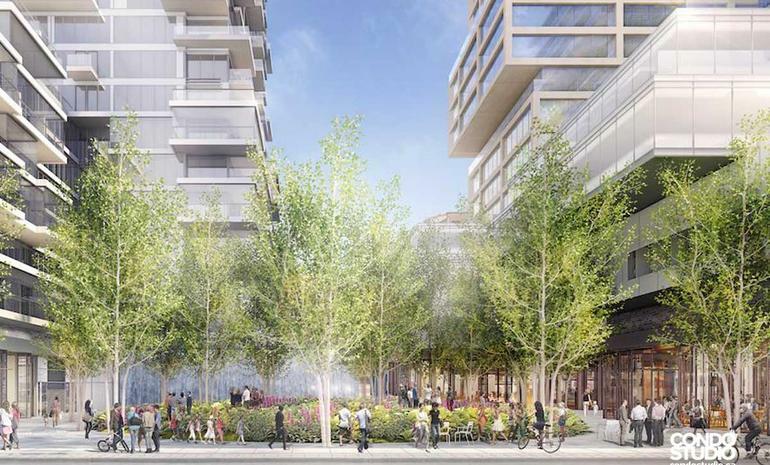 The property has been developed by the prestigious St. Thomas Developments and is one of the best projects today in terms of amenities and connectivity, as it is situated in the heart of Toronto in 88 Queens Street East. It provides great living experience and for those who do not want to compromise on the quality of living, this is the best place to be in. The project overlooks the beautiful Toronto skyline and provides all that is required by a modern family. The 88 East Condos is one of the more exclusive projects in the city and the price is quite high in some cases. There are two towers all done up in glass and steel and the prices would be revealed to the buyers only on request. There are apartments of other varying sizes as well and all of them would be handed over as and when they are furnished and completed. The two towers are 27 storeys high and between them have a total of 302 units. The 88 East Condos has a number of amenities which is going to attract the modern day residents to a great degree. The lobby and the lounge make for great areas to hang out. The property has covered parking space and the round the clock security. There is full power back up and ample water supply. Almost all the apartments have a balcony and is air conditioning throughout the project. The shared gym and the shared pool provide the family with the ultimate fitness and relaxing experience. Being situated right in the heart of Toronto, the project is situated to major locations. Commute to the Business Park is less than twenty five minutes on either side. This makes the region one of the most in demand in the vicinity and has one of the highest density of population in the city. One can avail the subway with about a ten minutes walk and there are a number of supermarkets as well as boutique shops from where one could access everything that one needs in their daily life, and they have the highest brand value as well. St. Thomas Development is one of the premium solutions provider for many local and international real estate investment requirement. They have personalized services for every need and this is what makes them stand out. The company has been making steady progress right since its inception. It aims to give the clients the highest quality of living and well within budget. The company is committed towards making Toronto one of the best places of the city to live in and has instilled a culture of innovation, discretion and foresight throughout its office premises. It is easy to travel to any key location in the city in minutes. Shared pool and shared gym for all the residents. Central air conditioning throughout the project.